Perched on a two-hundred-foot cliff overlooking the oceanâs edge is an extremely private, self-sustaining paradise that undoubtedly ranks among the finest properties weâve ever offered. 100% off-grid, this gated sanctuary is perfect for the buyer who is conscious of leaving a light footprint upon the land. The Pacific Ocean and North Shore views alone will take your breath away. The Bali-inspired main homeâs architecture exudes an ethereal feel, comprised of a series of intersecting octagons. Fine woods, hand-carvings, and Javanese cream marble flooring set the elegant indoor tone. The entire property is decorated with Balinese antiquities: statues, wood carvings and gold-leafed lacquered doors. Outside, the glazed ceramic tile roof imported from Bali is perfect for the oceanfront location. The main home is outfitted with an outdoor area featuring an in-ground hot tub, outdoor shower, and lounge area for daily sunrise and sunset viewing. The garage annex houses two cars with 900-square foot attic. The attached workshop,studio,office also features an outdoor kitchen and BBQ patio. Mature fruit trees abound including citrus varieties, kefir lime, bananas, papaya, mango and more. A short hike along the rugged shoreline rewards with a 250-foot waterfall and natural pool. The property also neighbors to Conservation land. 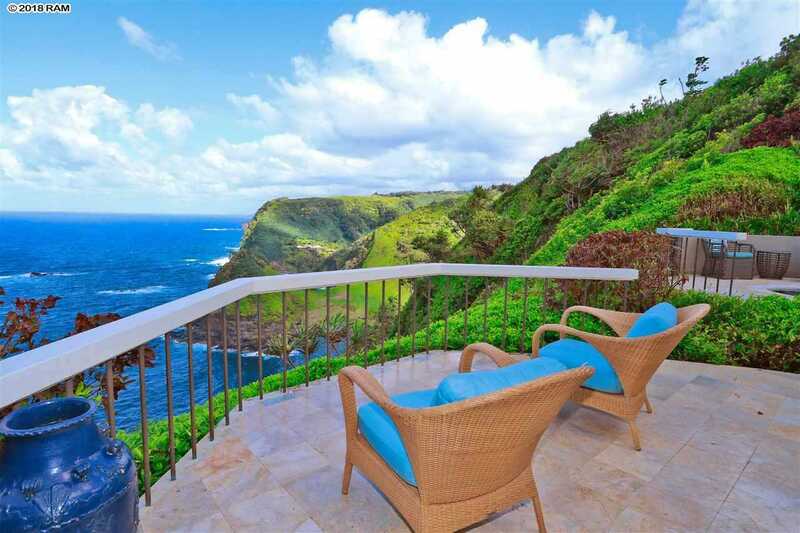 Please, send me more information on this property: MLS# 378729 – $1,999,000 – 624 Huelo Rd, Haiku, HI 96708.